UO researchers in two labs are teaming up with the Baylor College of Medicine in Texas on a quest to identify and study genes suspected to be involved in rare and yet-to-be-described disorders. The UO's participation is being led by Monte Westerfield and will involve his lab and the lab of John Postlethwait. Both scientists are professors in the biology department. Their work will involve genetic manipulations in zebrafish. The grant behind the project — $3 million over three years from the National Institutes of Health — establishes a new national resource, the Model Organism Screening Center. The project is led by Dr. Hugo J. Bellen, a Howard Hughes Medical Institute investigator and director of the Program in Developmental Biology at the Baylor College of Medicine in Houston. Another part of the new resource center, in Houston, is focusing on fruit flies and is led by Dr. Michael Francis Wangler. Human data and disease descriptions that will be used in zebrafish and fruit fly models will come from seven region medical centers in the Undiagnosed Diseases Network based at Baylor College of Medicine and funded last year by the NIH. Participants are Stanford, UCLA, Duke, Harvard, Vanderbilt, Baylor and the NIH. Baylor and the HudsonAlpha Institute for Biotechnology in Huntsville, Alabama, will provide human DNA sequencing data. 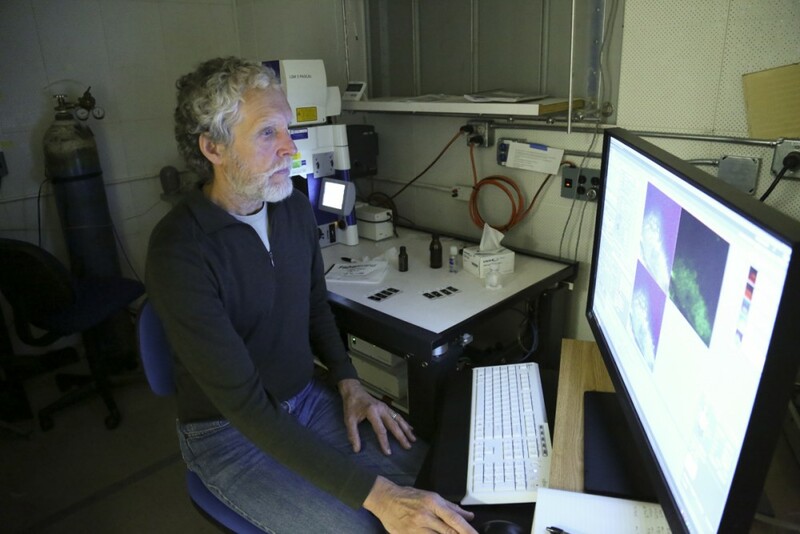 "We are responsible for making the zebrafish models of the human patients," said Westerfield, who also directs the UO-based Zebrafish International Resource Center and ZFIN, the zebrafish model organism database. "We also will be analyzing the symptoms as they appear in our zebrafish and compare them with symptoms that occur in human patients using bioinformatics, or computer-aided, analysis." Rare and yet-to-be-described disorders are a difficult problem for patients, their families and their physicians. The NIH Office of Rare Diseases Research notes that about 6 percent of patients seeking their assistance have an undiagnosed disease. For those patients who were ultimately diagnosed, up to 15 percent had experienced persistent symptoms without diagnosis for at least five years. The goal of the Undiagnosed Diseases Network is to increase the availability of diagnostic services, expand the geographic distribution of patient access sites, foster opportunities for collaboration between laboratory and clinical investigators, and provide data and protocols to the broader community. Patients enrolled at the clinical sites and their families have their DNA sequenced, as part of the diagnostic workup, to identify differences in gene sequences. Analyses done at Baylor and the UO will then determine whether these genes actually cause disease. At the UO, the genes involved in humans will be engineered and placed into zebrafish to study gene expression, disease progression and potential treatments. All genetic resources developed will, in turn, be distributed to the research community through the Zebrafish International Resource Center.